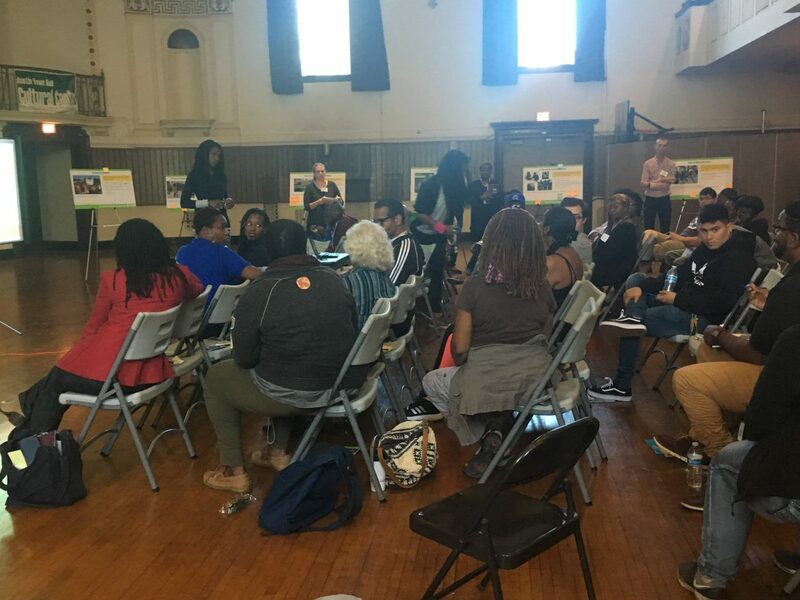 On Sept. 30, just a day after her husband was hit by a car, Austin resident April Harris decided to attend the last in a series of community meetings about traffic safety hosted by Vision Zero Chicago. While her husband Greg did not suffer any serious injuries after being struck by a car that ran a red light, Harris wanted to hear how city officials plan to reduce these kind of accidents, which are especially prevalent in Austin. Vision Zero Chicago is a city initiative whose aim is to eliminate traffic fatalities and serious injuries by 2026. Its West Side Team has been soliciting feedback from residents like Harris since identifying Austin as one of eight areas that experience more frequent and severe crashes than other parts of Chicago. “We’re going to the places where the need is greatest,” Dr. Julie Morita, health commissioner and head of the Chicago Department of Public Health, told the several dozen people who recently gathered at Austin Town Hall. She said over 900 people on the West Side were killed or seriously injured in traffic incidents between 2010 and 2014. Shameka Turner, a Vision Zero community organizer and Austin resident, guided attendees through a series of polls asking what role law enforcement should play. “This plan is created on what you want and what you need,” she said after asking questions about whether police officers should focus on education or enforcement in the form of traffic tickets, a key point of contention in communities like Austin. Oboi Reed, co-founder of the bicycle advocacy group Slow Roll Chicago, said CPD should play no role in communities of color. A few minutes later Officer Darnitia Jackson said she wanted to address the crowd as both a 15th District police officer who handles traffic enforcement and as an Austin resident. “I’ve seen people killed, I’ve seen cars mangled, I’ve seen children hit, so if I’m going to be a police officer, you all. I’ve got to stop people,” she said. If you think there is racial profiling, “well, unfortunately, I work in a majority African-American and brown people community so the majority of the people I may stop are going to be people of color,” Jackson said.